Akcea Therapeutics and Ambry Genetics are partnering to offer no-cost, confidential genetic testing and confidential genetic counseling for patients suspected of having or clinically diagnosed with hATTR amyloidosis with polyneuropathy. The hATTR Compass Program is available for patients who are 18 years and older and have a family history of hATTR amyloidosis. If there is no family history, the patient must have at least two clinical symptoms or manifestations related to hATTR amyloidosis. What test is right for your patient? 92-gene panel targeting patients with cardiomyopathies, including hATTR amyloidosis Select this test for a comprehensive genetic assessment of your cardiomyopathy patients. 81-gene panel targeting patients with hereditary neuropathies, including hATTR amyloidosis. Select this test for a comprehensive genetic assessment of your neuropathy patients. 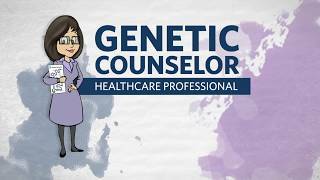 Genetic counselors are available at no cost to consult with your patient through pre-test and post-test counseling. Genetic counselors at PWNHealth, the third-party, independent partner working with the hATTR Compass Program, are trained to help patients navigate the social and emotional aspects of genetic testing. During pre-test counseling, a genetic counselor will be available by phone to discuss the benefits, limitations and implications of genetic testing with your patient. During post-test genetic counseling, a genetic counselor will be available by phone to help your patient interpret their results and the potential implications for them and their families. If requested, genetic counselors can review treatment options available and provide additional resources. If your patient is interested in this confidential service, make sure to indicate in the ordering form if your patient would like to have pre-test and/or post-test counseling. If indicated, a customer service representative will contact your patient to schedule the designated counseling session(s). How do I enroll my patient? Order a Sample Kit: Click on Order a Sample Kit button on the right. A custom ordering form will ship with each kit. Collect Samples: Use the hATTR Compass Genetic Testing Kit provided to you by mail or Ambry representative to collect your patient’s blood or saliva DNA samples. Complete the Test Requisition Form provided with the kit. Tip: Be sure to indicate whether your patient would like to receive confidential genetic counseling on the order form. Submit for DNA Analysis: Submit the hATTR Compass Kit for DNA analysis with the completed Test Requisition Form using the mailing instructions provided in your kit. Receive Results: Your patient’s results will be sent to you within 2-4 weeks. Tip: Ambry Genetic Counselors are available to help you interpret the test results. For assistance, contact +1 949-900-5500. Make a Plan: Work with your patient to make a healthcare management plan based on their test results. Tip: If you’d like to learn more about hATTR amyloidosis, start here www.hATTRGuide.com. The hATTR Compass Program is currently available in the United States, Canada and Puerto Rico. While Akcea provides financial support for this program, all tests and services are confidential and performed by independent third parties. At no time does Akcea receive patient identifiable information. * You can also send a saliva kit directly to your patient’s home for them to submit their saliva sample. Just check the “Sent kit to patient” box in the TRF. We will ship a kit to your patient as soon as we receive your TRF.